I sure hope Jacobi's dental procedure was necessary and not one of the all too common, let's over treat for medicaid dollars incidents. In the picture, it appears he has the brightest smiles and good dental habits. Jacobi Hill, age 6, died Tuesday May 11, 2010 during a dental procedure at Virginia Commonwealth University Dental Faculty Practice. 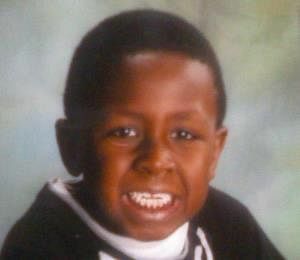 Crystal Lewis, Jacobi's mother said he was at the facility to have crowns put on several of his teeth. The most common cause of death in dental offices under anesthesia is related to an airway condition. In the upper airway, the most common problem is the vocal cords have spasms and close down. The second most common is the lower airway passage can close as in an asthma attack. Crystal Lewis, Jacobi's mother said he suffered from asthma. The mother is demanding answers and getting none. An Autopsy was performed but it may be weeks before all tests are completed. Manning Funeral Home is handling arrangements. Staff there said services are scheduled for Monday May 17, 2010 at 1 p.m. at the chapel, 700 N. 25th St.
Prayers go out to Jacobi's family. Labels/Tags: Jacobi Hill dies having crowns put on several teeth. It's A Field Of Dreams... Ah...NO It's NOT!